Please select another system to compare it with SQLite. Our visitors often compare SQLite with MySQL, Firebase Realtime Database and MongoDB. Typing predefined data types such as float or date yes not rigid because of 'dynamic typing' concept. 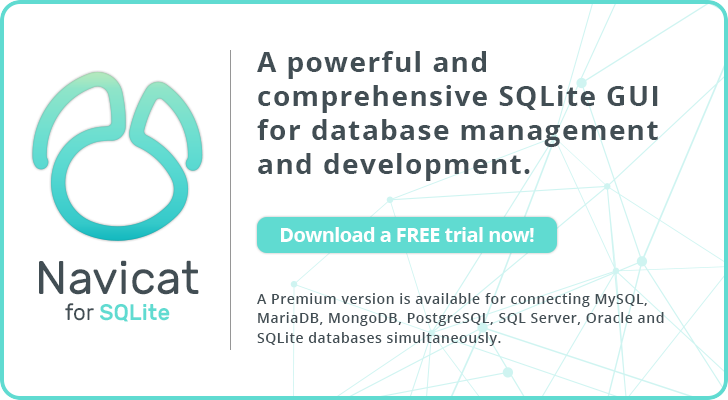 Navicat for SQLite is a powerful and comprehensive SQLite GUI that provides a complete set of functions for database management and development.